A replica of the car that won LeMans...gimme. 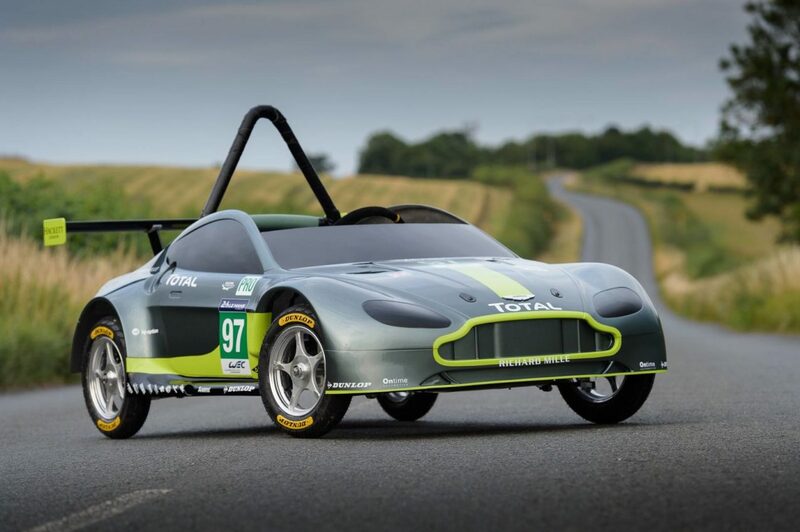 Riding high on the resounding win at LeMans, Aston Martin Racing arrived ready for yesterday’s race: “24 Seconds of Le Ally Pally”. Red Bull’s Soapbox Race took place yesterday in London, and it was improvisation at its best. While most entries fielded whimsical rides, Aston-Martin arrived in a gorgeous scaled model of the new V8 Vantage GTE. A replica of the car that won LeMans, it was designed around Alex Summers, their Senior Engineer at Prototype Operations. Darren Turner and Jonny Adam were the drivers responsible for the checkered flag, so they were tapped to head up the team. For some reason, every other automaker passed up on the opportunity for great exposure. 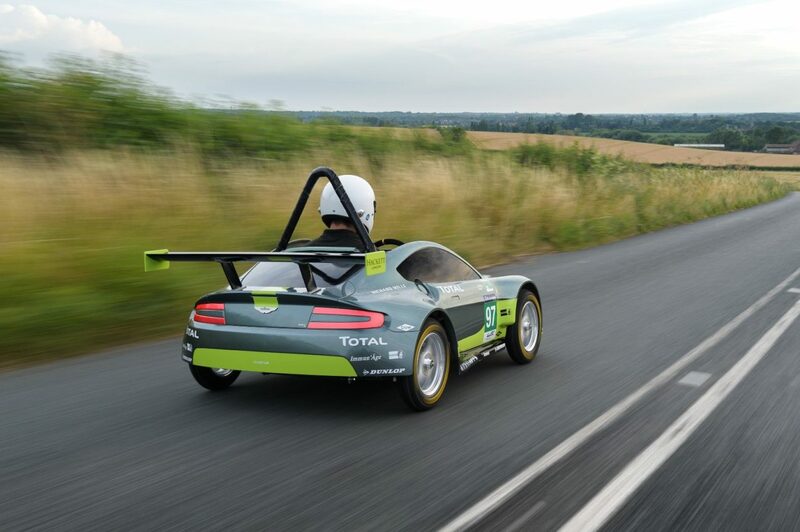 Red Bull’s events are watched the world over, so kudos to Aston-Martin‘s marketing team. Sparing no expense for the downhill build, the team started with a tube-frame chassis. It could be chrome-moly tubing or leftover exhaust parts, but the results are the same. Center-lock alloy wheels and rear disc brakes are straight from the Vantage, and the one-piece composite body was painted in a full-size spray booth. It was a valiant undertaking, but first place eluded the team. Finishing 2nd, they lost to “Brooklands Special” in a replica of the 24 Liter Napier Bentley. Gravity is a powerful tool at our disposal, so perhaps Red Bull could combine the jump from space with soap box cars or Flutag for the ultimate in acceleration.